Although there was controversy in the Northeast cycling community when the New England Velodrome changed hands, the new owners have renewed their commitment to a variety of cycling events, including VeloCross and a midweek training ride. Remarkably, cycling once drew crowds large enough to fill Madison Square Garden and Boston Garden. For a brief period at the start of the 20th century, track racing – especially Six-day and Madison events, captured the public’s imagination. But in the lead up to WWII and the post-war years, the track racing scene collapsed. The causes were many, but the result singular. The once booming sport shriveled. Over 60 years later, cycling is experiencing a rebirth – one built by hard work and entrepreneurial vision. The Northeast is a hotbed of that resurgence. And in many ways, Jeff Palter has been at the forefront of the movement. He took his first job in bicycle retail in 1987 and has owned Cycle Loft in Burlington, Mass., since 2006. 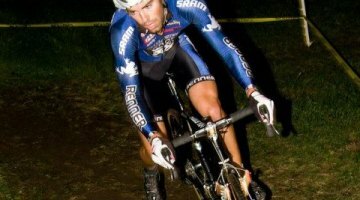 A supporter of local charity rides, trail maintenance, and cycling teams and clubs, Palter has branched out – his focus now includes cyclocross. 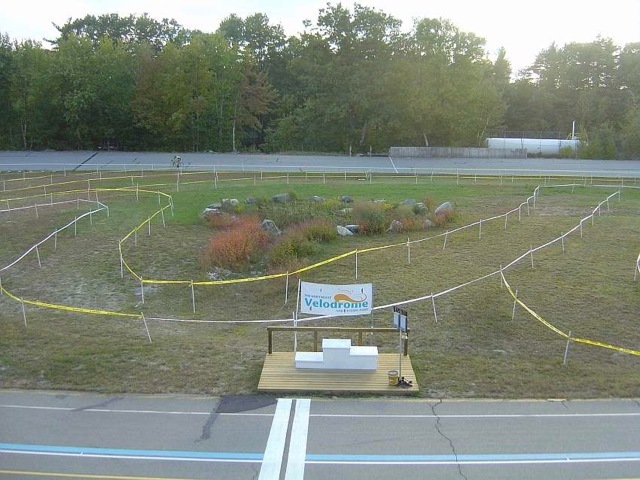 Palter is also the CEO of the Northeast Velodrome and Cycling Park, a cycling facility including a velodrome, BMX track and a ’cross course in Londonderry, N.H., about 45 minutes from Boston. Not including the countless volunteers, his 2010 management team includes Kurt Begemann, velodrome director; Anthony Laskaris, Cycle Loft’s VP; and Shawn Dufresne and Wally Litchfield, the BMX track operators. 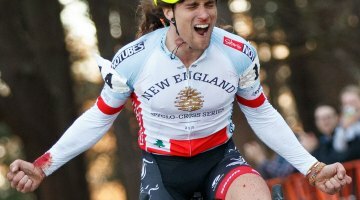 With the Northeast Velodrome and Cycling Park’s first ’cross race just weeks away, Palter speaks with Cyclocross Magazine. CXM: What were Cycle Loft’s goals in becoming involved with the Northeast Velodrome and Cycling Park? Jeff: In the springtime, our goals were to increase the track program’s depth, quality, safety and structure; to increase ridership numbers; to run racing programs under USA Cycling guidelines; and to renovate and enhance the facility including the velodrome, BMX track and cyclocross course. It’s also no secret that there has been a push for a Boston indoor velodrome. 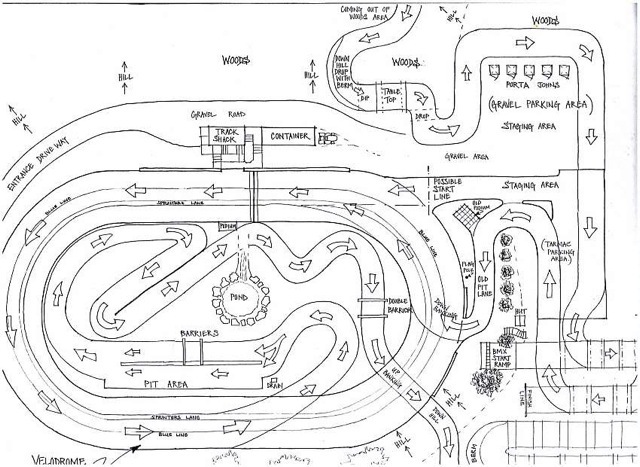 Track director Kurt Begemann and I have also been involved with that ongoing project. This [the Northeast Velodrome] has been, and will continue to be, a great proving ground to see if Massachusetts, and the greater New England area, can support an indoor facility. CXM: How well have you accomplished your goals for 2010? Jeff: I think we’ve achieved virtually all of our goals: we made several physical improvements, with more on the list. We’ve also met our short term goals regarding increasing participation in terms of riders – we’ve had many distinct new riders introduced to track cycling through three of our USAC sanctioned clinics, and we’ve been able to retain experienced riders. One category where we did not meet all of our goals has been in the participation of female riders. We made great increases in Junior, Masters and Elite riders this season. CXM: What has caused the success? Jeff: Two parts: improving the physical facility and enhancing the programs. We started the season with approximately 40 new rental bikes – all Fuji Track Comps and Felt TK3s – in 700c adult sizes, as well as 650c wheel sizes. We even custom modified 12 Fuji 24-inch road bikes to make them fixed gear track bikes for younger Juniors. We repainted the lines on the track, making it a 333 meter racing oval. By moving all of the track specific measurement lines “up track,” we created a warm-up and safety apron, a standardized regulation distance, as well as wider radius turns that make controlling the bicycle at higher speeds easier. Virtually every crack in the track surface was filled in and made smooth. The infield was filled and leveled with a bulldozer and grass planted. New boards, featuring sponsor’s banners, were constructed around much of the track. The official’s building [we call it the track shack] was also enhanced with multi-level decking. Outdoor lighting was enhanced, electricity was brought quite a ways down to the BMX track so that the registration computers and hydraulic compressors could run more cleanly, 126 yards of near perfect clay were laid on the BMX track with the help of several pieces of heavy equipment, the cyclocross course has been widened and made more accessible to more riders of varying skill level, the bridge that crosses one stream has been rebuilt…. Frankly, a lot of the improvement has been because of the structure, discipline, and etiquette that Kurt [who’s run two other tracks, the Valley Preferred Cycling Center, Trexlertown, Pa., and the Mellowdrome, Asheville, N.C.] brought to the Northeast Velodrome and Cycling Park. CXM: What was the concept behind having multiple cycling disciplines at one location? Jeff: The concept previous to us was always to have a cycling park with as many disciplines as possible to create a critical mass of riders. The more riders on bikes, the more riders will get on bikes – that’s the key. To have a destination for people to go is an ideal situation, especially when you consider that you could come with your kids. They could ride the BMX track while you were riding the track – or vice versa. In the future, this venue could even serve as the staring point for other charity or demo rides. Next year we will also plan to have a bicycle swap. 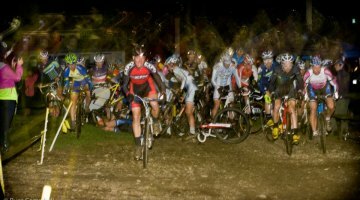 CXM: You’ve started a Wednesday night cyclocross practice – can you speak about the progress of that program? Jeff: We set up the course the first week of September. It has not been as successful as I thought it would be when we first started planning it. Last week there were 10 or 12 riders – the most since the second week of September. It’s grown a bit every week, although we have been rained out once so far. CXM: Why do you think the program has been less successful than you imagined? Jeff: It’s hard to say. I think it’s the “competition” of other Wednesday night organized workouts. I also think part of it is the fading daylight, and there are so many different events happening every weekend that people might just have to make choices for their cycling commitments. We’d like to do more. We’re just not sure if people will feel like there are too many events. CXM: What types of riders have been coming to you ’cross clinics? Jeff: A wide variety. Some Men’s 4/5s, some Women’s 3/4s, some complete ’cross newcomers; an Elite level rider, Sally Annis. A variety of riders. CXM: Has there been much cross-over between track cyclists and ’cross riders? Jeff: No, most of the riders are not track riders. 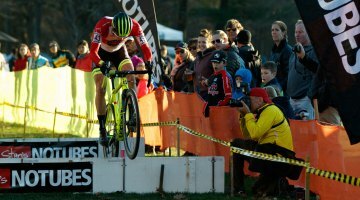 CXM: How does cyclocross fit into your larger vision? Jeff: It fits in as one more piece of the puzzle. It plugs into the cycling park notion of attracting different disciplines. It features well into the long-term plan to have a cycling park in conjunction with an indoor velodrome. Even with an indoor facility, the outdoor track would serve as a feeder track to the indoor velodrome. The BMX track scene is vibrant and growing; and the ’cross scene, well, that’s still growing, I think we can count on that. Thinking about the future, that’s where the question begins. Is cyclocross just an “off season” offshoot of the road scene? Will ’cross ever get so big that it has its own dedicated year-round season? 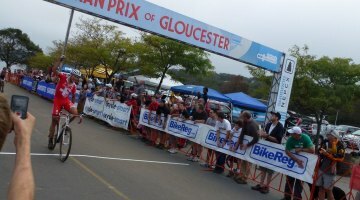 The first ’cross race around here is in late August, and the season is going to go into January. It seems like ’cross is going to keep bleeding and bleeding over into the traditional road and track seasons. I’m told that ’cross is the fastest growing sport on two wheels right now. We’ll see. CXM: Is there much connection between the development of ’cross and track’s reemergence? Jeff: There are definitely some similarities between the two. On a velodrome, spectators can see everything in the race develop and happen. That’s exciting, that’s entertainment. Much of the same can be said for ’cross and the venues being used. I think fans and spectators want to be close to the rider and close to the action. They want constant movement, they want to see the racing unfold right in front of them. I’m excited and hopeful about the sport and the venue in New Hampshire. 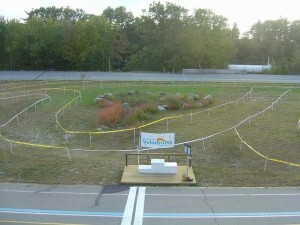 VeloCross is scheduled for Saturday, November 20th. Online registration via BikeReg. More info on the Northeast Velo website. 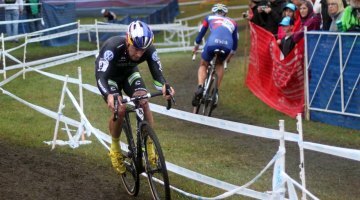 Next post UCI Rankings: North America the Next Cyclocross Epicenter?